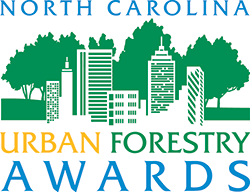 Formerly administered by the NC Forest Service, the NC Urban Forest Council proudly takes over the North Carolina Urban Forestry Awards. The goal of this program is to award communities, organizations, and individuals for outstanding work in protecting and enhancing our community forests. This awards program is a way to give back to those who have been committed to creating healthy urban forests and raising community awareness of the importance of these projects. 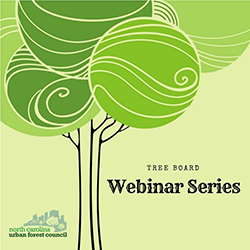 Through a series of webinars, we hope to present ways that you and your tree board can function more efficiently and effectively within your community. Learning more about the political process, how to communicate your message, community forest management opportunities, and how to engage your volunteers will provide mechanisms for your board or commission to have more impact and better manage your urban trees and green space. A resource guide which contains valuable information that will help your board well into the future is available upon request. Stay engaged and take advantage of this opportunity to move your tree board to the next level. All previous webinars have been recorded and can be viewed at your leisure.